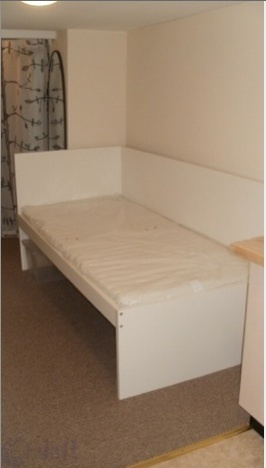 Studio apartment for 975 a month – only 4 nights a week though. To the streets with you on the weekends you peasant! Posted in Misc and tagged Crying Chair, Daft at 1:44 pm on November 15, 2016 by Broadsheet. I shudder to think what the bedroom will be used for on the other 3 nights. @Daisy: Crying and then crawling to the ‘living area’ to root behind the non-existent sofa cushions for discarded coppers, I should imagine. Or is that just me? Not uncommon in Paris, I’m told, where people often stay in hotels during the week and go home to the family dans la France profonde on Friday night. Someone trying to squeeze an extra bit of cash out of their AirBnB property? It would suit some people; a lot of people go back to the country each weekend. 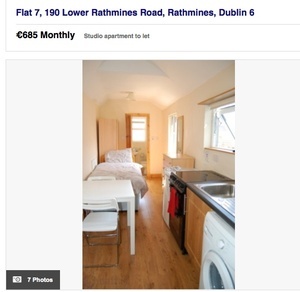 I know that the rental system in Dublin is crackers at the moment, but an atypical renting arrangement isn’t really a symptom of this. And you got an apology for the person sharing your bed for not changing the sheets every week. 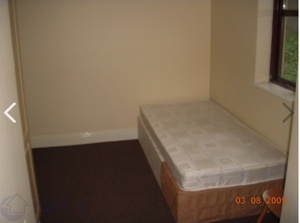 I know the common practice here is to post properties like that and most people comment saying how awful it is etc. We also get the usual few on saying “oh this is common practice in blah blah” … or as they say above, this is common in Paris, well as you may well know Parnell St is not Paris. 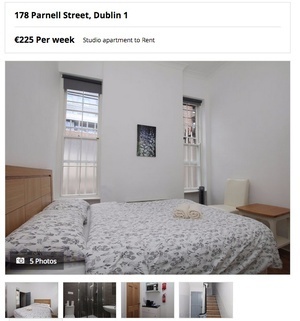 Or it might suit people to go back on the weekend, well it also might suit them to have a choice since they are paying nearly a grand a month for a studio in Parnell Street. Can we just say what this really is?…greed…pure greed. Greed that cares not for the implications on the person who has to rent it. If we had a more normal market with healthy supply and proper regulated rents this property could never reasonably expect to get more than 750 per month with a pro rata reduction for the 3 days you are not there, should the tenant take up that option at the start of the lease. If this was the case would the landlord in question be stuck for money? would their life be seriously impacted? I really doubt it. If a student rents this then the financial burden their parents are under for sending them to college is even greater. If its someone up from the country trying to get a job then obviously their disposable income is going to be impacted and they will have the added cost of travelling home every weekend and they will find it harder to settle in Dublin if they have to pack their bags every Friday night. Greed doesn’t give a damn about this, greed has no conscience, greed takes as much as it can when it can. When is enough money enough? 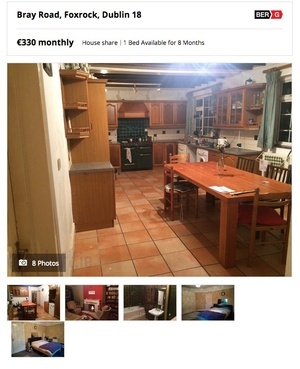 Its clearly not going to attract people on market for a steady home. Its dirt cheap if your a tourist coming over for a week. If it was available 7 nights a week at a reasonable rent it would…that is the point…. Not it’s not and you know full well that it’s not being advertised as such. How do I its not. Sorry, how do I know its not. Also they can do what they want with property THEY OWN. If the landlord can, he will. Roll on construction of new homes. Thousands and thousands. The only solution to this mess is increased supply. Yes, please! More to buy, more to rent – this is an intolerable situation for so many of us. If only there was a solution. Sorry, I can’t hear you from my superyacht! blushirt economics, all for the vulture funds, fook the people! There is no need to use caps. That is the point being made here, if they choose to rent the property they should be subject to regulations. There are social implications attached to the property market, rental and sale. Property ownership does of course have rights but it also should have responsibility. When you rent a property you are not just selling a sliced pan you are providing someone with a home.